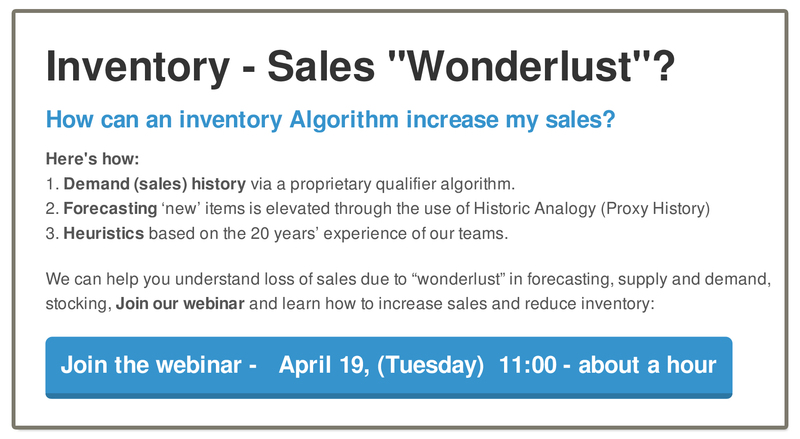 Our webinar on April 19 will feature inventory planning with true scientific methodology, proven by clients in over 31 countries . Read the following EXECUTIVE BRIEFING from our President and CEO, Phil Perkins. He’ll give you the link to registration at the bottom.